So, what am I working on at the moment? 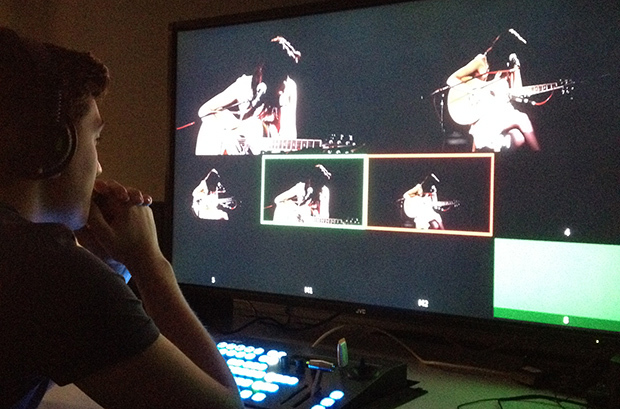 Well, we currently have two practical units running side-by-side: Video Production and Multimedia. For VP we are producing a 20-minute documentary that we have chosen to film in an Inside Out style featuring some traditional crafts and businesses within Weymouth and the surrounding area. The kinds of companies on board so far are a family bakers, a blacksmith, glass blowers and we are hoping to include a very old established rural butcher. As well as planning to film these businesses for the documentary we have decided to produce our own advertisements to punctuate each feature meaning we must find and film another eight local businesses within the next six weeks. As the original concept of the piece was to focus on the Weymouth area, our aim is to try and relate the adverts to this theme - which is becoming quite stressful! We plan to make adverts for businesses, attractions and upcoming events allowing us to showcase Weymouth for everything it has to offer and hopefully attracting future commissions from local traders. For our Multimedia unit, we have been exploring alternative platforms and our IPTV piece (like the documentary) is still in pre-production but its also looking equally as exciting and potentially as stressful, but Im sure well manage. 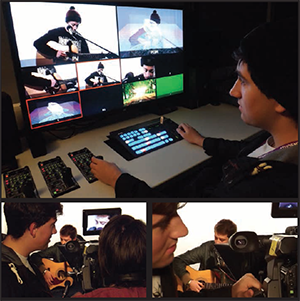 For this project we have planned a programme that can and will be streamed online and on the college intranet when we record it live. The idea is to create a show similar to Later, with Jules Holland in which we will invite local musicians to come into the studio and give a live acoustic performance. The show will also feature pre-recorded performances as well as live interviews within our purpose-built and designed set. Although still in pre-production weve had the chance to do one shoot with a musician which allowed us to play around in various roles and not just our allocated slots, with me taking on the roles of director and vision mixer. Im really looking forward to working on both projects we have at the moment, they are two production areas that I have a lot of interest in and I'm also looking forward having the chance to gain experience working and liaising with clients and musicians. I am also currently working to try and find any placement I can for the work based learning aspect of the course, but also and more importantly for my personal growth. So far Ive emailed numerous companies with few responses, but Ill keep trying and hopefully something will come along!